My sabbatical time away was not all work and study. I did give a great deal of time to the focused agenda I mentioned in earlier posts, but I also spent a great deal of time in a car with parts of my immediate family and visiting with extended family and friends during our travels. 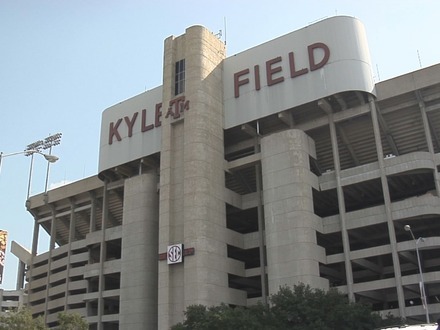 I was privileged to visit my alma mater, just as a new semester was beginning and even took in a scrimmage by the Aggie football team with my wife, youngest daughter and father-in-law. It was Hannah’s first visit to Kyle Field, which was pretty cool. But one of the most relaxing, fun-filled days was also one of the longest, and came in the middle of the 10 days that my friend, Shawn Bergen, and I set aside for working on our writing project. On that particular day we left our accommodations at 4:30 AM and drove for an hour and a half even further south toward the Texas border. We were partially cammo-ed up and in search for the exotic Nilgai herds that roam that part of the republic. 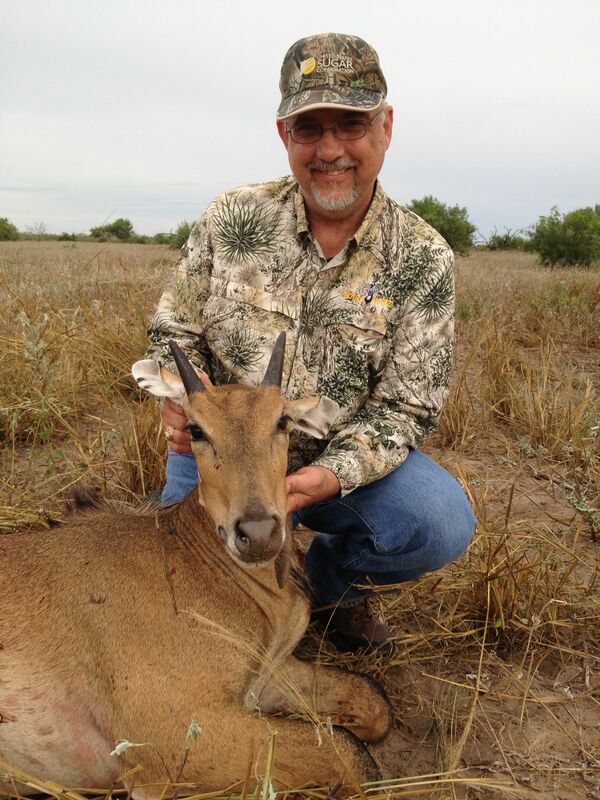 I first learned about Nilgai last year after hearing about how tasty they are. The first time I saw one, in February 2012, he was 700 yards away. I could barely recognize what I was seeing through my rifle’s scope and got so flustered that I didn’t even get a shot off—which is just as well because had I hit it it would have been a miracle and that would have further challenged my cessationist views. But I did see it, and from that moment the Nilgai has captured my imagination. The males are called bulls and when they reach maturity they are known as “blue bulls” because of the coloring that often characterizes them. The calves and cows are a reddish brown, and though they taste better, are not nearly as noble looking on the South Texas plains. A mature bull can weigh over 600 pounds. Their bodies are massive but the two horns they sport rarely grow longer than 9 inches. They are extremely skiddish and are hard to hunt. Earlier this year I got a 250 yard s hot at a blue bull that a guide and I had stalked for a while. I hit him and was sure that he would go down, but he lumbered into a wooded area out of sight (this also challenged my cessationist views momentarily until my pride was finally trumped by reality!). After tracking that bull all day we never found it and I had to return home with that sick feeling that comes from knowing a wounded animal was left to die in the wilds. I was able to shoot calf late in the day. Though the meat is delicious there was not much of it. Since that day, I have wanted another opportunity to put Nilgai meat on my family’s table. So on August 22 when we hopped into trucks heading south long before daybreak, I was enthusiastic, even though the temperature for the day topped 100°. I saw a cow early on (that I missed) and a few blue bulls running hundreds of yards away, far beyond my shooting ability. Finally, late in the day, I was able to shoot a young bull who was a few years from attaining his bluish markings, but he had 2-3 inch horns and weighed in around 300 pounds. It’s still not the blue bull that I hope one day to get, but it will supply us plenty of meat for a while. And, it was a day well-spent. By the time we got back to our camp it was after 10PM. I was exhausted, grateful and ready to start working again the next day on the project at hand. It was great to disengage and have the time to rest, study, plan and write, and to be able to throw a little R&R in the mix. But it is even better to be back in the rhythm of my regular responsibilities.